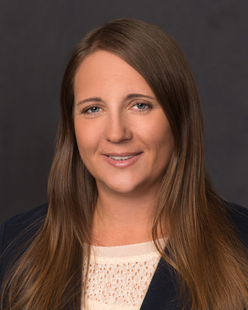 Denise Linford is a Partner in the Commercial Department and the Energy, Environment and Natural Resources Department of the firm’s Billings office. She concentrates her practice in real estate law with emphasis on matters concerning the oil, gas, mining, and energy industries including title examinations, property acquisitions, and property development. She also practices in the estate planning and estate administration areas. Ms. Linford received her J.D. with honors from the University of Wyoming College of Law in May, 2001. She received her Bachelor of Science degree in Accounting with honors from the University of Wyoming in 1998. Denise is admitted to practice in Montana and Wyoming.